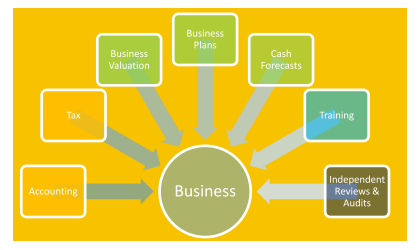 Business plans and forecast cash flows. FinSolve Solutions in association with Bizfacility, provides accounting, tax, business valuation and training services to clients in the SME (small and medium sized enterprises) environment, with its main location in the Northern suburbs Cape Town and central Johannesburg. The business practice is focused on providing superior value for money, and promotes quick but professional solutions and services to the client. Our stance is one of under promising and over delivering, with our key differentiator being that of empowerment, by assisting entrepreneurs in understanding their financial and tax affairs better through our training division, Bizfacility. The practice provides services to clients nationally, with emphases on Johannesburg and Cape Town areas. 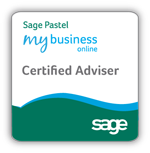 All accountants and bookkeepers are certified practitioners. We utilize all our own software packages namely TaxPlanner, SecForms and CompanyTax through our software division Taxbox Solutions. that will assist clients in mananging their business in a compliant and efficient manner. We bring corporate experience to SME operations that are fit for purpose. While we provide traditional accounting and tax services to our clients, we specialize in the above as we have a wealth of experience in these areas. Periodic reporting and financial analysis of client business highlighting strengths and weakness, plus providing 12 month projections based on agreed drivers. Independent Reviews for Pty Ltd Companies where required by the Companies Act. Calculate and determine value on your business of a prospective business up for sale. Modelling of financial statements and cash flow projections using Cash Flow Forecaster. Provide what – if scenario analysis to determine impact on cash flows. Suitable for both startup and existing business. Secretarial services – company registrations, annual return submissions etc. Bizfacility Pty Ltd, is the training arm of the practice, and provides a multitude of financial training solutions to clients. Our training ranges from taxation to business taxation to business valuation, via face to face workshops and e-learning interventions supported on professional e-learning platform hosted by Bridgewater Learning. Our workshops are conducted at up-market venues at affordable prices.